Dr Sandra MacDonald, Announces Her Upcoming TV Segment on American Health Front. Those who are unable or unwilling to use a CPAP machine, are at risk of suffering from a multitude of medical problems such as serious life-shortening consequences: high blood pressure, heart disease, stroke, diabetes, depression, and other ailments. These can be helped with Dental Appliances. On Saturday January 26th, 2019 at 7:30 pm on the ABC network WCVB-TV Channel 5 following Local News. “American Health Front” will air an Informative segment with Dr Sandra L MacDonald as she discusses the importance of a proper night’s sleep and the roll of leading-edge Dental Sleep Appliances. Dental Sleep Appliances are seen as ideal solutions to the problems encountered with Obstructive Sleep Apnea treatment with CPAP machines. Being a Dentist with Diplomate Status of the American Board of Dental Sleep Medicine, Dr MacDonald offers extensive training and experience which is essential to avoiding possible complications in treatment. She also offers to patients the service of billing their medical insurance. Many patients encounter problems with the use of CPAP machines. Primarily from trouble with masks and hoses leaking, causing difficulty in falling asleep. Other problems include difficulty tolerating noisy forced air, dry stuffy nasal passages, feeling claustrophobic as well as skin irritation or pressure sores. In 1992, Dr MacDonald started her practice in Plymouth, MA and will be celebrating twenty-seven years of service to the Plymouth community this year. Now with a focus on Dental Sleep Medicine Dr MacDonald has been awarded Diplomate status of the American Board of Dental Sleep Medicine. As one of only a few Dentists in the New England area, she is a member of the American Academy of Dental Sleep Medicine, American Academy of Craniofacial Pain. American Dental Association, Massachusetts Dental Association, she can expertly explain the benefits of Oral Appliance Therapy vs CPAP. Visit Dr Mac’s Dental Sleep Apnea Answers! 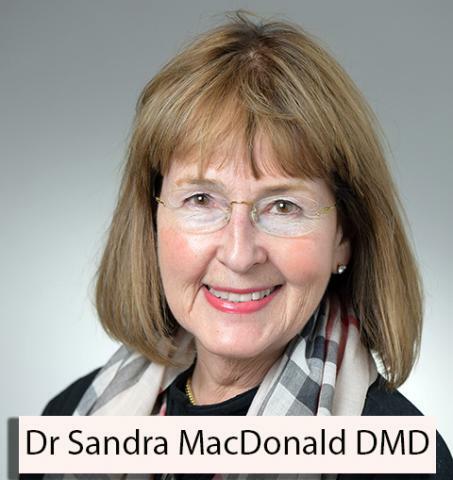 Visit https://sandralmacdonalddmd.com/ to see her latest information and tune in to the show to watch the latest on this compelling subject.